You know how sometimes you read a book that everyone is raving about but it doesn’t click for you? 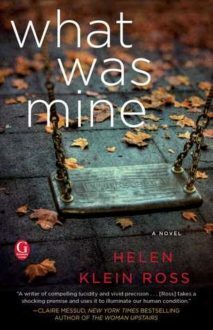 That’s how What Was Mine by Helen Klein Ross was for me. It started out promising and I devoured the first half of the book but by the end I was left feeling a bit deflated. In hindsight, this is partly because the synopsis gives away pretty much the entire book and partly because I found some of it to be unbelievable. What Was Mine is about a woman who kidnaps a baby girl and raises her, only for her secret to get out. What follows is that the daughter finds out, makes contact with her birth mother, and the consequences the kidnapped mom faces when it all goes public (all of which is in the synopsis). 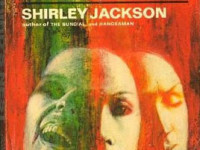 I loved the first half, which was mostly about how and why a woman would kidnap a baby, what that meant for her life going forward, and the fear that it would all blow up in her face. The second half, which was about the daughter learning about what had happened to her, is where What Was Mine missed the mark for me. – There was, for me, not nearly enough emphasis on Mia’s internal conflict. I understand that she’s mad at her mom but I expected there to be some emotional conflict around the fact that this woman who raised her turned out to be someone different. This was alluded to but not discussed in detail. That said, I would imagine moving in with your birth family would be really awkward, strange, scary, etc. and, once again, while this was alluded to, it warranted a full discussion. Ditto for how the other kids felt about it. – The stark differences between Marilyn and Lucy irritated me. First, there were weird mentions of Marilyn’s holistic living but it was almost as an afterthought. But what really got me was that the book seemed to be very anti-working mom. Here we have Marilyn, who makes her own bread and is the quintessential wife and mother, whereas Lucy must have been a terrible mother because she worked and had a nanny. I get that Marilyn is supposed to hate everything about Lucy but there wasn’t much of a, “oh, maybe she’s a terrible person because she kidnapped a baby and not because she doesn’t make her own bread” realization. This observation became interesting to me when I read that the author kept a Betty Draper blog, so while I don’t think the book is intentionally anti-working mom, I do think the author’s extensive work with “traditional” housewives came through in a way that wasn’t intended. It left me with a bad taste in my mouth, as if the author herself is anti-working mom, which judging from her resume is probably not the case. If you’d like to read some of these rave reviews I’ve mentioned, check out My Novel Opinion or any of the 5-star reviews on Goodreads.